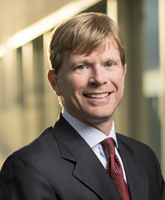 Todd Presnell is a trial lawyer licensed in Georgia and Tennessee who represents major corporations, small businesses, governmental entities, tax-exempt organizations, and individuals in their litigation-related needs. Mr. Presnell has served as lead counsel in federal and state courts across the country, including Arizona, Colorado, Connecticut, Georgia, Illinois, Minnesota, New Mexico, Tennessee, and Texas. He has handled numerous bench and jury trials, argued before the Sixth, Seventh, and Tenth Circuit Courts of Appeals, the Tennessee Court of Appeals, and briefed cases before the United States Supreme Court and the Tennessee Supreme Court. Mr. Presnell's experience includes product liability cases in the automotive, equipment-manufacturing, food-product, and manufactured housing industries, employment-discrimination cases for small, privately held companies to multinational corporations, disputes over non-compete and non-solicitation agreements, litigation over trade-secrets violations, contract and other disputes involving health-care companies, fiduciary-duty disputes involving corporate directors and officers, trust-related litigation, and business tort claims. In addition to his trial and appellate work, Mr. Presnell is a recognized expert in the area of evidentiary privileges, including serving as Editor-in-Chief of Evidentiary Privileges for Corporate Counsel (DRI 2008), and provides audit-related and training services to in-house legal departments in establishing and maintaining the corporate attorney-client privilege. He also works with in-house legal departments in creating and implementing document-retention policies and procedures. Listed by The Nashville Post, "Top 100 Lawyers in Tennessee"